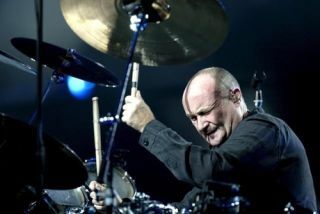 Phil Collins to quit music? Critics to end Collins' crooning career? Phil Collins could be about to hang up his microphone once and for all. But no, that doesn't mean the former Genesis man is considering a return to behind the kit. Instead, he's hinted he could end his professional recording career altogether. So, what could possibly make the veteran drummer-turned-crooner come to this decision? Well, it turns out he's sick and tired of criticism. He told Rolling Stone magazine: "All my life I've put out music and people have criticised it. Why keep doing that? I don't need the money. "In the future I think I'll write songs in my basement and never play for anybody." Let's hope the critics are kind when it comes to reviewing Phil's new album Going Back, which is out in September.